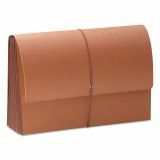 Smead TUFF 5 1/4" Expansion Wallets, Redrope, Legal - Protect your important documents in transit by using this extra-durable wallet. Made with special water-resistant material, the wallet resists spills of liquids such as coffee, water and soda. Simply wipe the wallet clean. Wallet also resists dirt and finger oils. 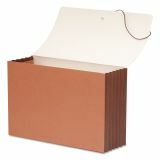 Extra-wide design allows top-tab file folders to fit neatly inside without bulging out the sides. The gusset is fully lined with tear-resistant Tyvek and features special rollover reinforcement at the top. The gusset extends into the front and back panels twice as far as standard file pockets for super bonding strength so they won't rip out. 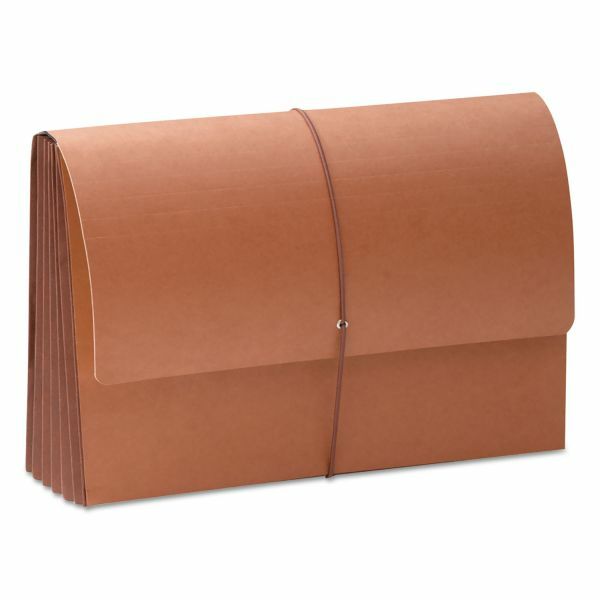 Protective flap with elastic closure secures your contents.